As search engine optimization has continued to grow in popularity over the years, new forms of it are constantly emerging. The original aspects of SEO have changed considerably over time, and new types of SEO – such as local SEO – have emerged as competition becomes more intense. For many smaller brands, targeting local audiences is simply more relevant and beneficial. As the prevalence of mobile devices and in-home digital assistants continues to grow, a greater share of local SEO searches are becoming voice-based searches. While many might think this would be no different than any other form of SEO, the truth points to the contrary. Today, let’s examine what steps businesses and brands can take to improve or begin optimizing their content for local voice SEO. It shouldn’t be surprising that many people tend to speak differently than they tend to write or type. 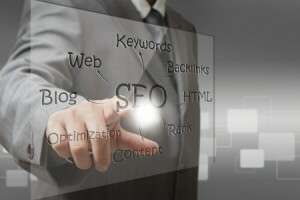 When using search engines via a laptop or desktop computer, typing out queries often focuses on specific keywords. However, targeting local SEO voice SERPs revolves around a more conversational approach. People tend to search via voice in the form of questions, and aren’t worried about shortening their queries as much as when typing. This means that focusing on long-tail keywords and question-based SERPs is a better overall approach for optimizing in voice-related searches. Likewise, it should go without saying that when you are targeting local voice SEO results, your keywords and phrases should have a decidedly local connotation – otherwise, you’re likely pinging noise at a non-local target audience. It can feel a bit overwhelming in knowing where to begin with optimizing for voice searches. While text-based searches are extremely varied, the general rule of thumb is that voice searches are much more compartmentalized. Ultimately, the bulk of voice local searches can be categorized into one of four categories. People generally are looking to go somewhere, do something, know something or buy something. These four criteria form the cornerstone of any local voice search campaign, and can help more effectively guide your efforts in focusing on the right areas. As already mentioned, many local voice searches relate to questions. Brands that can generate the most appropriate answers stand to be seen more via mobile device search results, which is the primary goal for voice searches not conducted via devices such as Amazon Echo. Simple solution such as Google AutoSuggest can be a great start for determining what people are currently searching for in question format the most. By using these kinds of utilities, you can avoid pinging noise that doesn’t align with the queries that voice searchers are using to get answers. Voice search is somewhat similar to traditional search in many ways, but the areas of distinction are important. If you’re planning on optimizing for local voice searches in particular, then following the above tips is crucial. By providing the right answers, understanding the common roots of voice-related queries and formatting your targets using conversational styles, you can capture a greater share of this market and ultimately draw in new customers and visitors. « How Powerful Are Online Reviews?